Can You Take a Portable Shelter Camping? Going camping is a favorite pastime for many. 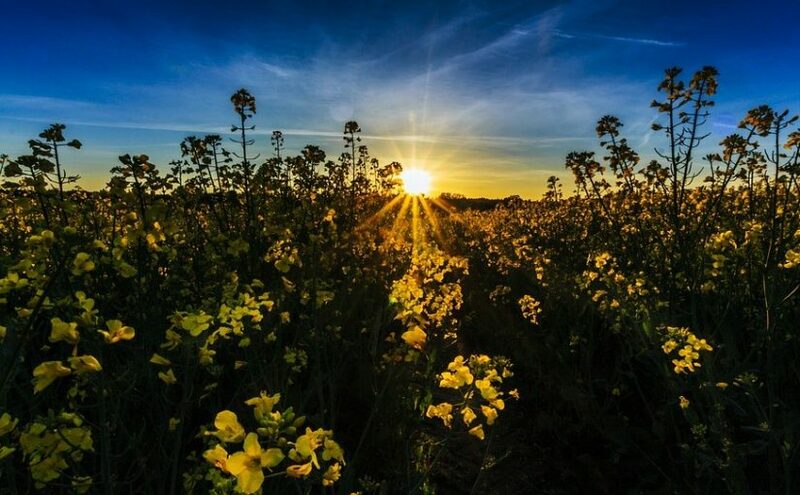 It’s also a great time to bond with family and friends or to just disconnect from technology and get back in touch with nature. Whatever the reason you like to go camping, it’s important to take the essentials along with you to make the trip an enjoyable one. Depending on where and how you like to camp that might include a sleeping bag, some basic food, and supplies – or even a tent. 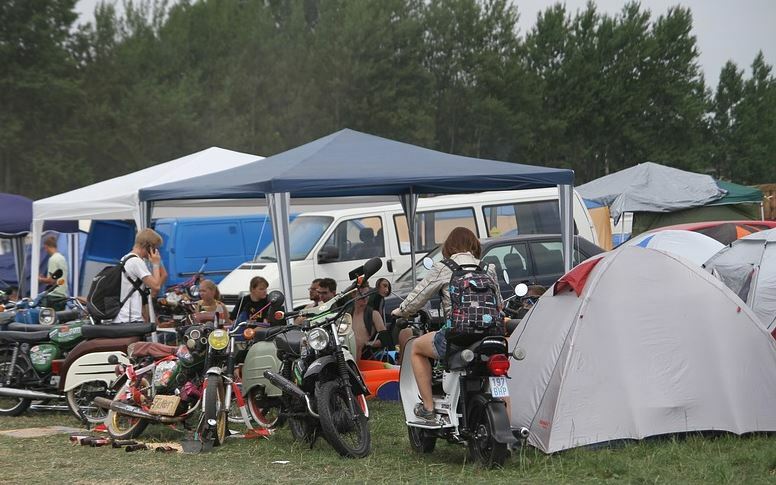 You might be wondering if you can take a portable shelter camping too. The answer is. Yes! If you’re setting up a dedicated spot for your family to stay for a few days you might want to create a space where you can sit and eat meals. Quickly set-up a portable shelter like a canopy to cover the table and gathering area. This will offer shade during the day as well as protection from rain should inclement weather pop up while you’re camping. While braving the wilderness is part of the experience, having somewhere to get some cover can be a great relief if rain, snow or high winds occur during your trip. Portable shelters are also a great option to take with you while camping because they are easy to move. If you want to take it over to the river with you but bring it back for dinner, all you need is someone to give you a hand and remove the stakes and tie downs to then relocate it for your convenience throughout the camping adventure. 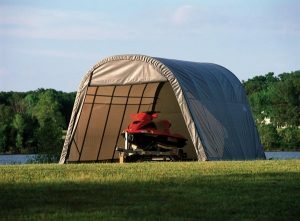 Shelters of America carries a large selection of canopies, shelters and portable garages and carports to meet varied needs. The instant storage buildings are durable and made of galvanized steel frames. Whether you’re looking to store farm equipment and livestock or somewhere to keep your RV when its offseason – there’s something for everyone! For the last few blog posts we’ve been talking about the advantages of carports in the changing seasons and how to keep portable garages cool in the warmer months. In addition to storage uses, there are also reasons to invest in a portable shelter – especially if summer parties are a frequent occurrence at your house. Summer parties are a great way to gather a large crowd of friends and family or even have a corporate picnic. The weather is great, there are activities you can do and the headcounts don’t have to be as limited as indoor seating capacities. Summer is a popular season for graduation parties, weddings, retirement parties and more. The challenge at all of these events is having cover. Food coverage from mosquitoes and flies and table coverage to shade and protect guests trying to enjoy the day. One thing that can change the plans is an unexpected rain shower or other weather popping up during the event. Plus sometimes the summer sun can get really hot. 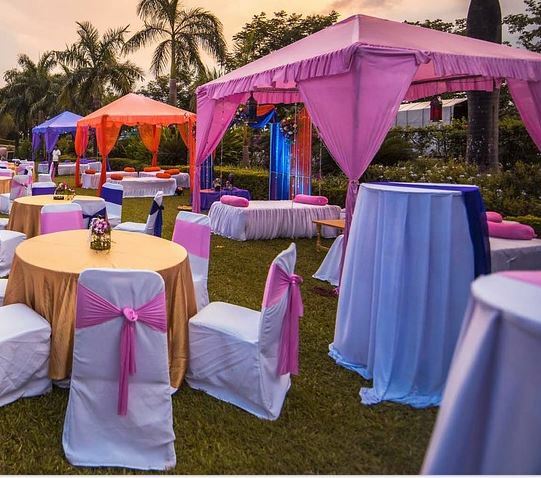 Instead of worrying about whether or not your summer party will fail or if the sun is going to be unbearable, opt for a covered canopy and offer guests the comfort of shade as well as protection from the elements. A portable canopy can also double as a place to store your vehicle or equipment in your yard at other times so it’s not going unused. There are also an array of sizes and options you can choose from to fit user specific needs. 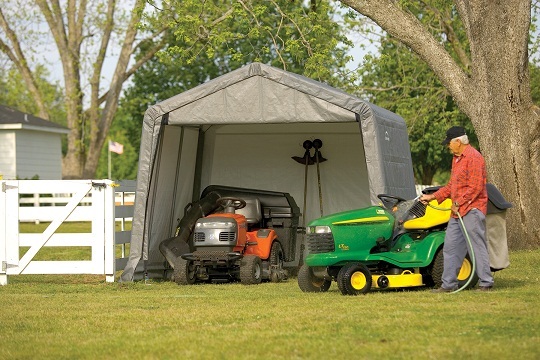 Shelters of America offers temporary or permanent portable garage and carport building products. Our canopies and portable shelters are made from the highest quality galvanized steel frames and long lasting polyethylene covers so your investment will be protected for years. Shop today! 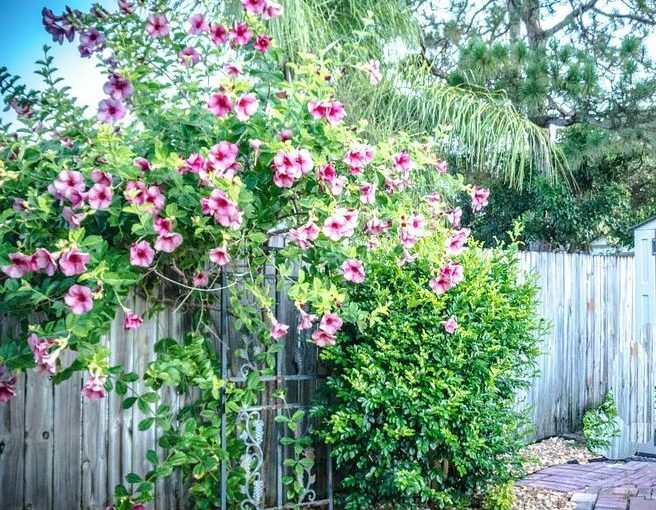 Warm crisp air, cool breezes, birds chirping and flowers growing. This paints the perfect picture of the spring season for many areas of the nation. If you’ve been waiting to break free from the cold and start enjoying the outdoors again where you live, perhaps you’ve been thinking about getting a portable shelter. Portable garages and canopies are great for seasonal storage and for keeping valuables safe from adverse weather conditions. Or maybe you already have a portable shelter in your yard and will be pulling out the winter items you had stored for the season – like a boat, motorcycle, RV or even lawn equipment. 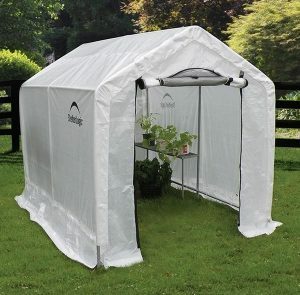 Before you do, here are some tips for getting your portable shelter ready for spring. Before you can enjoy the outdoors or your portable garage for the season you need to do some spring cleaning. That means mowing the lawn, picking up leaves, branches and debris, cutting back trees and bushes. Likewise, if you already have a shelter, you want to clean up the contents. Pull out the stored items. Clear clutter and contents that have accumulated and clean the interior by sweeping, mowing and blowing away debris to have a newly cleaned space you can use. If you’re just putting up the portable garage for the first time, be sure to follow all manufacturer instructions for set-up, tie down and added stability. You need to inspect the dwelling when completed as well to ensure it’s been installed properly. If you have a portable garage you’ve been using for years, it’s a good practice to examine it each season to look for any rips and tears in the cover or rust and other damages that can weaken the integrity of the structure. The great thing about portable garages too is that it’s easy and cost efficient to replace covers and other parts when needed. Before you start filling the portable garage back up with the things you removed to clean the space, take a purpose filled and intentional approach to its use. Why did you get a portable shelter to begin with? Is it to keep your car safe from the elements? Then put only your car back in. Don’t store all those boxes of extra stuff you haven’t had use for years again. Did you need extra storage space and purchased a portable garage to fill it with contents? Then do so wisely. It’s pretty easy to quickly fill-up even your extra space. Spring is the perfect time to go through your clutter organize and toss what you don’t need. Shelters of America carries a wide selection of portable garages, canopies and replacement parts to ensure your valuables always have the protection they need – year round. Shop today! As a first-time boat owner you may not be thinking about boat storage just yet. Perhaps you’re just getting it ready to use for the upcoming season and have only been thinking about enjoying the sun in your eyes and splashing water as you cruise around lakes, rivers and oceans. But storage is actually a very important element of owning a boat and the responsibility falls on the boat owner to keep it protected and operational for the upcoming season. Here are some tips for proper storage and why boat canopies are the perfect option. Depending on the type and size of boat you have you may be thinking about putting it in your garage in the off season or using a shrink wrap or tarp method to keep it covered. Unfortunately these options aren’t always the most efficient. Tarping can lead to mildew or rot and losing all of your garage space (if it fits) for months at a time will get frustrating. Without protection however, your boat will be exposed to harmful UV rays that can fade and crack the surface not to mention the fact that rain or snow can lead to damaging moisture that ruins interiors, electronic components and the body. Portable shelters are a great option for those who either don’t have a garage, or require additional storage, but don’t want to make the permanent and expensive commitment to a dedicated dwelling. 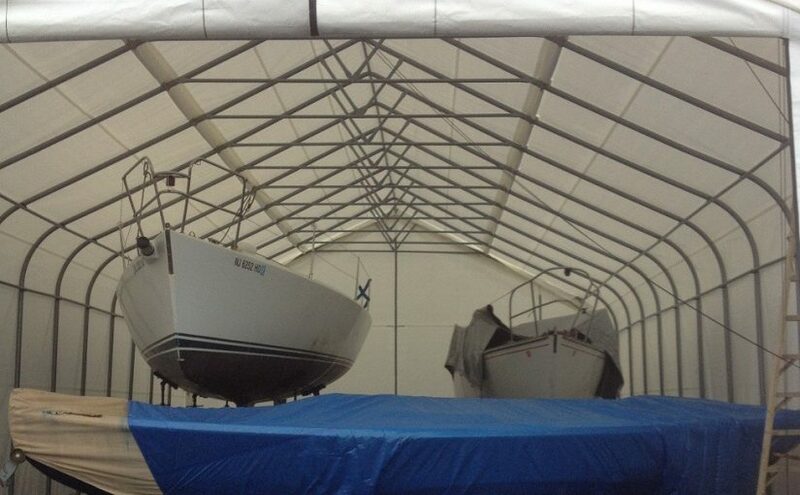 Boat canopies are designed the same as other portable garages but are created on a smaller scale. The reason is to offer coverage around the vehicle without taking up unnecessary space. The frame is made from galvanized steel with a polyethylene canopy for the roof, walls, and a roll-up or zipper door. Perhaps most beneficial is the fact that once the off season has passed, you can take the portable shelter down and store it or use for other needs. Shelters of America carries a wide selection of truck and boat covers, car garages, kits, portable shelters, and so much more. If you’re in the market for a boat canopy or searching for solutions on how to store your boat when it’s not in use, contact us today! A canopy can provide much needed shade on a hot summer day and protection from rain. A canopy can protect you and your family or guests so that you can enjoy an outdoor picnic or a relaxing day at the beach or a park. Canopies are made from heavy-duty materials that are designed to stand up to rain, wind, and the sun’s UV rays, but occasionally they can become worn out through long periods of exposure to the weather or can be torn by debris. In that case, making a repair is fairly simple and straightforward. 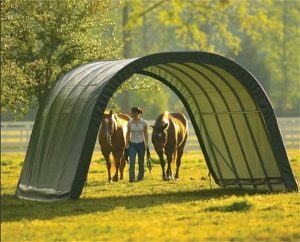 You should fix the tear in your canopy as soon as possible in order to keep it from getting larger. The first step is to clean the area with the hole. Clean the top and bottom surfaces of the canopy around the tear with an oil-free cleaning solution. Then let the fabric dry completely before you repair the damage. If the fabric is damp, the tape will not stick properly to the fabric. Buy a roll of canopy repair tape from a hardware store. Read the instructions carefully before you attempt to repair the hole in your canopy. Hold the two torn edges of the fabric so they fit together and put a piece of canopy repair tape on the top side of the tear. Press the tape to remove any air bubbles and then put another piece of tape on the bottom side of the tear. If the tape is not positioned correctly, you should not try to remove it. This could cause the fabric to tear even more. Put another piece of tape on top of the one that is placed incorrectly to secure the fabric. Check the rest of the canopy for any other signs of damage. Place pieces of tape over any other holes you find to prevent further damage.